In order to achieve greater energy efficiency and lower heating bills with double glazing, Colchester households should enlist the services of Colne Valley Windows. 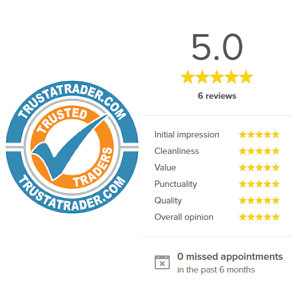 We are passionate about delivering an exceptional service and outstanding value to every single customer. Over the past 25 years, our staff have amassed a great deal of experience and expertise. This means that along with recommendations about which option would suit your home, they can also install double glazing to the highest standard possible. What’s more, whenever Colne Valley Windows enters the home of a customer, we consider ourselves a humble guest. As a result, your property, privacy, and personal space will receive the respect it deserves. If this sounds like something you want to benefit from, contact Colne Valley Windows today. We can discuss your double glazing requirements over the phone on 01787 827382 or respond to online enquiries at a time that suits you. Warmer in winter – Did you know that 50-70 per cent of home heat is lost through single-glazed windows? As you can guess, this problem is all but eliminated with double-glazed windows. Cooler in summer – The insulating properties of double glazing means that summer days are cooler, as it will trap the sun’s rays and minimise heat. Energy efficient – Seeing as heat won’t be escaping from your home, you can enjoy greater energy efficiency while saving money and the environment. Reduce noise – Another interesting statistic is that double glazing can reduce outside noise by up to 60 per cent, providing you with a much quieter home. Reduce condensation – Condensation is commonplace in older homes with timber wood frames. But with double glazing, there is a reduced chance of excess moisture on your windows. Increase security – Double glazing makes it much tougher for thieves to break into your home, especially if you choose laminated or toughened glass. Our material of choice for double glazing is uPVC, as it doesn’t require much maintenance, doesn’t fade over time, doesn’t suffer from damage easily, and will last for many years to come. It’s also completely recyclable as well as water and fire resistant. If you want double glazing from Colne Valley Windows, simply give us a call to arrange an appointment for your free quotation. We promise not to pressure you into a sale and won’t make you sign anything either. 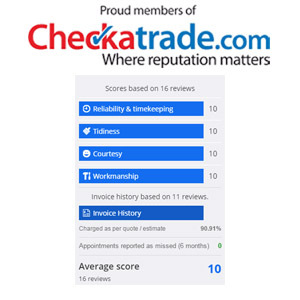 We are proud of our reputation as a trustworthy company that wants to go through word of mouth and get recommended for a polite, friendly service.